When it comes to my beauty routine, hair is at the top of my list. Especially since frequenting go to salons can definitely set you back a few pennies. I do my best to take good care of my mane in between visits. From shampoos to oils, I am giving you a inside look into what I use. Whether you can looking to update your tresses, or try something new. The following products are tried and true. Best news is they are all available on Amazon! IF you are a Amazon Prime member even better because Prime Day is happening on Monday July 10th at 9PM ET for 30 hours. With new sales happening every 5 minutes, you won't want to miss out on anything. I'll be doing a round up of the best items to buy next week. But for now, keep scrolling to see what I am obsessing over and what my locks can't live without. 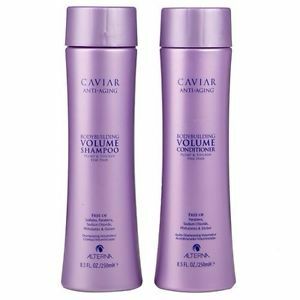 This sulfate free cleanser builds up my hairs thickness while protecting my color. The marine plumping complex that contains omega-3 and seasilk strengthens my hair with ever wash. My hair is full, fabulous and ready for it's close up. This is on the pricer side of hair sprays, but it has totally transfoms my hair. The wave and shine spray give my hair that perfect tousled look. Use it when it your hair is looking a little flat or for a night on the town and you want a little extra shine. Best part is you can run your fingers through your hair no problem and it smells amazing! This brush feels like magic, it glides through my hair with ease as it detangles after getting out of the shower. Bonus, I've been told that a detangling brush will help prevent breakage and split ends. I often get asked about my bouncy curls /waves. The secret is out, these hot rollers from Conair are my go to every time. I love them because they are so easy. I roll them up, get dressed, unroll and go. Treating my hair to a mask once in a while is a great way to lock in moisture. Start using this one every couple of weeks and you'll see an improvement in strength, softness and shine. Thank you Amazon for sponsoring this post.